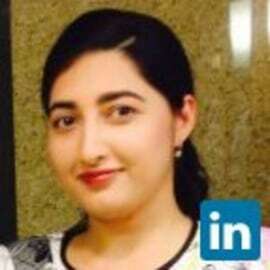 Priya is a Cloud Solution Architect in AI and Analytics. Priya comes to Microsoft from IBM where she delivered several big data analytics solutions in the healthcare (Watson Health) and cyber security industries, managed a PaaS DevOps analytics team in a startup within IBM and most recently, was a Cloud Security and Compliance Solutions Consultant/Architect. She has created blockchain solutions across the industry. She created a Governance Risk and Compliance solutions on Azure during her Masters in Computer Science program. She has also delivered multiple real time analytics solutions using open source technologies such as Apache Spark, ELK stack, and more using OpenStack. She has also led her team in predictive modeling, A/B testing and hypothesis driven testing to understand what the customers want which led to invest/divest strategic decisions.